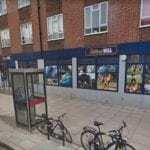 This page shows information about the William Hill betting shop in London located at 139/143 Chatsworth Road. Here you can find the latest offers along with contact information and opening times for this particular branch. 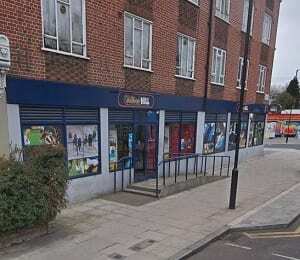 Below is a map showing the William Hill bookmakers located on Chatsworth Road in London so you can easily find it if you want to place a bet on your favourite sports. 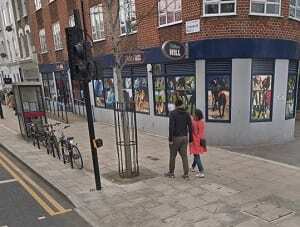 It is located in the district of Lower Clapton which is an area of East London. Here you can see some photos of the shop itself which is located on the high street close to several other local amenities. If you would prefer to bet on the go, there are plenty of mobile betting sites here which you can sign up with and claim the latest offers. Here you can see the full opening hours for this William Hill shop so you can find out when it’s open for you to visit and place a bet. As you can see it is open 7 days a week at various times so there are plenty of opportunities for betting on different sports and events. 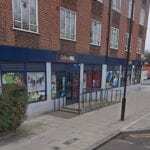 Check out some of the other UK William Hill shops if you are interested in other locations. 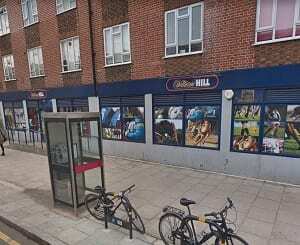 William Hill is a licensed Betting Shop located at 139-143 Chatsworth Road in LONDON E5 0LA. – Details from Find a Bookie. The license status: Grant by London Borough of Hackney Council. T&Cs Opt in required. New customers to Casino page only. Available 1x per customer. Min Buy in £10. Bonus value 100% of Buy in. Max Bonus £300. 40x wagering. Bonus expires 7 days from issue. Game weighting, player, currency, country, game restrictions & full terms apply. T&Cs Opt in required, x1 per customer, new Bingo customers only. Min £5 stake, max £25 bonus with 4x wagering. Bonus expires in 14 days from chat name registration. Games currency, location, player restrictions 7 terms apply. Lower Clapton is a district of East London in the London Borough of Hackney, lying immediately north of Hackney Central, the borough’s administrative and retail centre. Lower Clapton can be described as closely approximating to the southern part of the E5 (Clapton) postal district. Clapton F.C. was the original local football team, being formed in 1878. Leyton Orient, founded in 1881 also played in the area before moving to Leyton in 1937. London is the capital and most populous city of England and the United Kingdom. Standing on the River Thames in the southeast of the island of Great Britain, London has been a major settlement for two millennia. Londinium was founded by the Romans. The City of London, London’s ancient core − covering an area of just 1.12 square miles (2.9 km2) and nicknamed the Square Mile − retains its medieval boundaries. The City of Westminster is an Inner London borough which also holds city status. It occupies much of the central area of Greater London including most of the West End. It is to the west of the City of London. Greater London is governed by the Mayor of London and the London Assembly. London’s most popular sport is football and it has six clubs in the English Premier League: Arsenal, Chelsea, Crystal Palace, Fulham, Tottenham Hotspur, and West Ham United. Many fans like to use Coral when betting on their favourite teams during the week as you can do this both online and in a local shop. From 1924, the original Wembley Stadium was the home of the English national football team. It hosted the 1966 FIFA World Cup Final, with England defeating West Germany, and served as the venue for the FA Cup Final as well as rugby league’s Challenge Cup final. The new Wembley Stadium serves exactly the same purposes and has a capacity of 90,000. Two Aviva Premiership rugby union teams are based in London, Saracens and Harlequins. London Scottish, London Welsh and London Irish play in the RFU Championship club and other rugby union clubs in the city include Richmond F.C., Rosslyn Park F.C., Westcombe Park R.F.C. and Blackheath F.C.. Twickenham Stadium in south-west London hosts home matches for the England national rugby union team and has a capacity of 82,000 now that the new south stand has been completed.